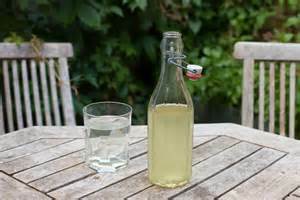 It has been a weekend of making Elderflower Cordial in our house and it tastes delicious diluted with sparking water. Elderflowers impart a delicious muscat flavour, and this easy-to-make refreshing summer cordial is an ideal non-alcoholic aperitif for a summer party or barbecue. 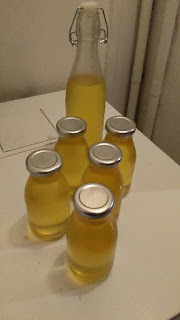 There are plenty of 'free' elderflowers in the hedgerows just now - I only had to go 30 yards to get mine.The cordial will keep for for up to 3 months if refrigerated and can be made in 25 minutes plus standing time. 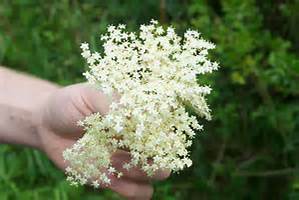 Shake the elderflowers well to remove any insects and put them in a large bowl. Pare off the zest from the lemon in thick strips and thinly slice the fruit. 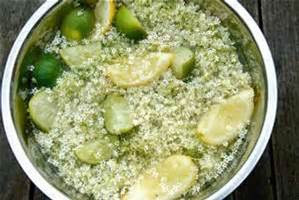 Put the zest and lemon slices in the bowl with the elderflowers. Put the sugar and 600ml of water in a large saucepan and heat slowly, stirring gently, until the sugar has dissolved. Then bring to the boil. Pour the boiling syrup over the elderflowers and lemon and stir well, then stir in the citric acid. 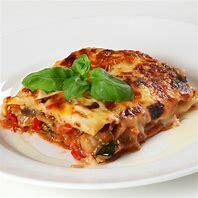 Cover with a clean cloth and leave to stand for 24 hours. Strain through a muslin-lined sieve into a clean bowl, then pour into a sterilized bottle using a sterilized funnel. Seal, label and store in the fridge. Its high sugar and citric acid content means this cordial will keep in a cool, dark place, but it is better refrigerated. What's next? 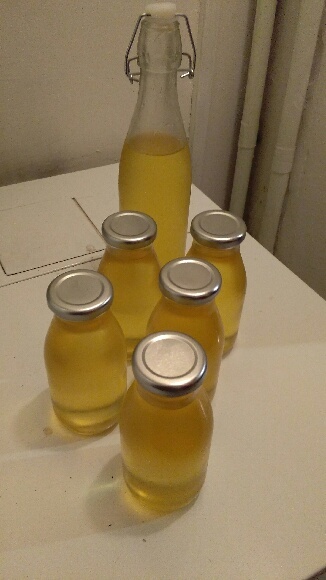 - Elderflower champagne!